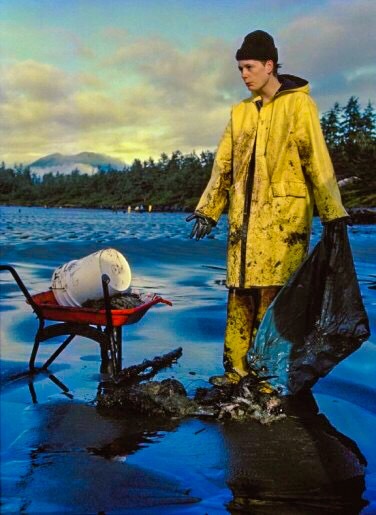 In 1988 Clayoquot Sound was impacted by the Nestucca Barge fuel oil spill. This photo shows volunteers cleaning up at Chesterman Beach after the oil spill slick became dispersed from Oregon state to Vancouver Island. Canadian Prime Minister Justin Trudeau vacationed in Tofino, Clayoquot Sound in 2016 and 2017. Our understanding is that he is planning to vacation here again this summer, potentially as soon as July 22nd. As everyone is aware, Trudeau recently purchased the existing Trans Mountain pipeline to transport tar sands oil production from Northern Alberta for $4.5 Billion, with plans to expand and triple the output of tar sands oil to the west coast for another $7-$15 Billion. His plan is to pay for the pipeline and expansion with taxpayers’ money that could instead be directed towards health, housing, education, and clean energy. Trudeau talks about reconciliation and working together, yet he is trying to force a pipeline across unceded Indigenous territories. The pipeline still has no consent from entire Indigenous Nations, major municipalities including Vancouver, Burnaby, and Victoria, and the Government of British Columbia. With no treaties and no purchase of the unceded territories from the Indigestion enous Nations within B.C., Canada has no legal jurisdiction under International Law to permit the pipeline. Trudeau talks about ocean protection, but his pipeline would increase the number of oil super- tankers along the BC coast by 700%. The pipeline would mean 400 tankers a year traveling past Long Beach, putting communities and ecosystems at much greater risk of catastrophic tar sands oil spill which cannot be cleaned up. 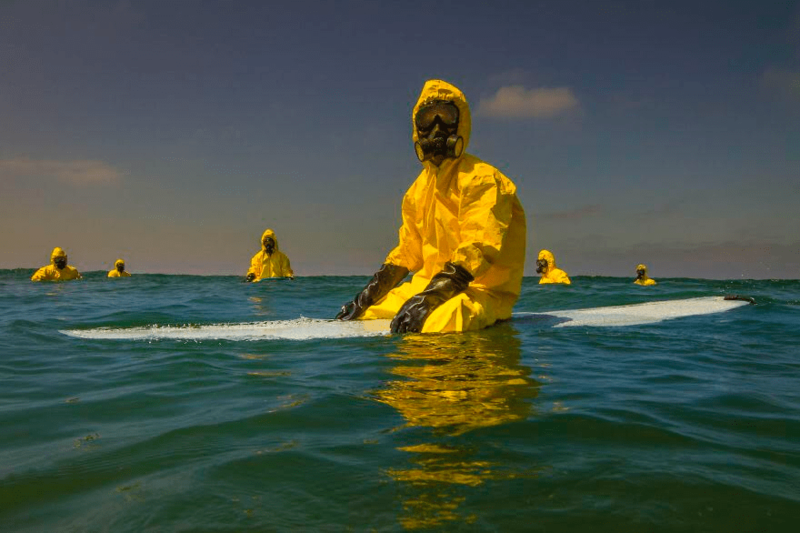 This further endangers orcas, salmon, and the lifeblood of west coast life. Trudeau talks about climate action but wants to build a pipeline to the west coast to expand tar sands extraction that will make Canada’s climate commitments impossible to meet. The pipeline and tanker project would release 100 million tonnes of carbon annually, negating climate commitments made by the Canadian government at the UN Climate Summit in Paris. Meanwhile, rising sea levels caused by climate change threaten to make many coastal communities unlivable by 2100. By threatening to erect the Kinder Morgan pipeline, Trudeau’s rhetoric perpetuates resource colonialism, climate change, and aculture of disrespect as the pipeline has no consent from local communities. Trudeau has been chased out of almost every community he has set foot in BC is his attempts to justify the expansion of the Trans Mountain tar sands oil pipeline which would have significant impact on the coast. Yet he is coming to vacation in Tofino. The Trans Mountain pipeline is becoming a more high risk investment by the day, bad for investors, and especially bad for Canada. Peaceful direct action reminiscent of the Clayoquot Blockades 25 years ago continues to grow. Over 200 people have been arrested so far protesting the pipeline. Protest camps have been established along the pipeline route similar to the Meares Island Blockade in 1984 or the Peace Camp at Kennedy Lake in 1993. 1. Residents and tourists can speak out online and around Clayoquot Sound. Be bold and creative, it is not often we have the potential to reach a politician whose decisions impact our lives. 2. Businesses can even deny goods and services to Trudeau, and workers can refuse to serve Trudeau in the political activist tradition of non-cooperation. 3. Interactions with Trudeau can be documented by photo or video and shared on social media through Facebook, #trudeauvacationwatch and #friendsofclayoquotsound. 4. 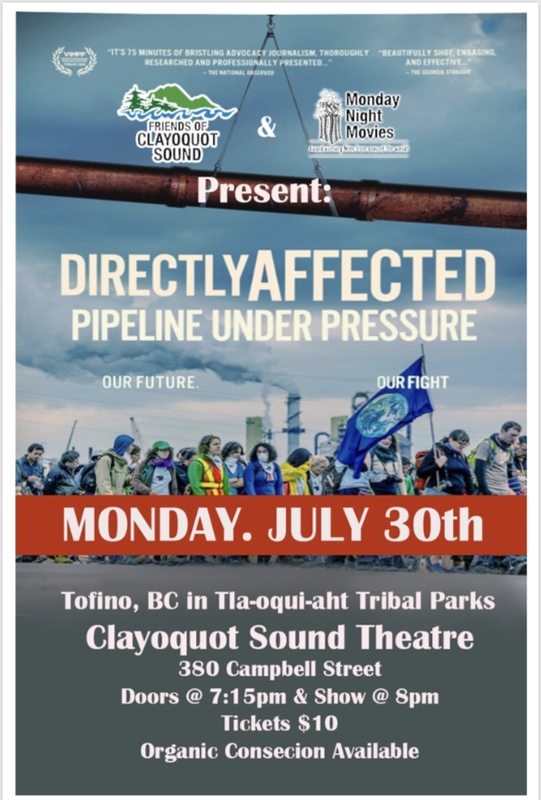 Everyone is invited to attend the screening of “Directly Affected” to learn more at the Clayoquot Sound Community Theatre on Monday, July 30 @ 8PM. Trudeau, like Canada, is now at a crossroads: to continue with a rigid system of aggressive resource extraction, colonial violence, economic coercion, and environmental destruction; or to embrace natural law by making reconciliation with Indigenous Nations and sustainability our guiding priorities.